When you’re a lifelong fan of cool cars, you might have graduated from purchasing scale models to devouring motoring magazines and eagerly attending car shows. But if you haven’t saved up enough for your dream vehicle quite yet, one of the best ways to keep motivated is by visiting high-end holiday destinations to see magnificent mean machines in real-life action. So the next time you’re planning an annual break, combine rest and relaxation with satisfying your auto passion — imagine swapping your family car for a Ferrari as you book airport parking at Looking4.com and scan discount luxury hotel booking sites for cost-effective accommodation in salubrious areas. A car spotting holiday should satisfy many of your four-wheeled fantasies — so here are three luxury locations where you’ll see the world’s most expensive rides. Wealth tracker site GlobalData WealthInsight rates Monaco as the top global city for millionaire density — 30.6 per cent of residents in the Principality have a net worth of at least US$1 million. 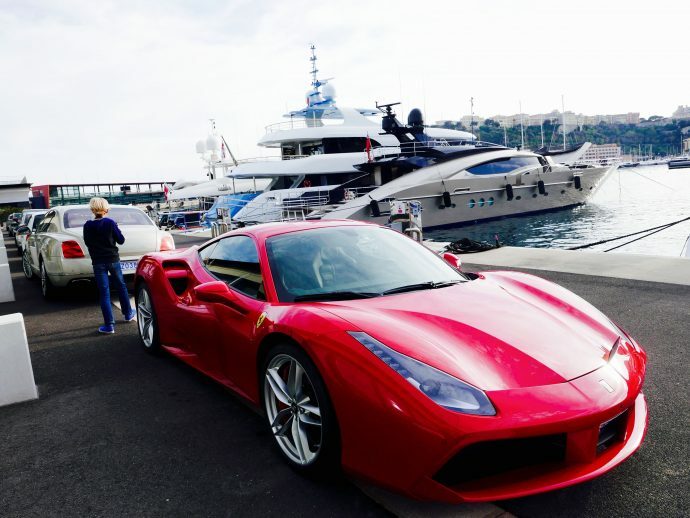 So this playground for the super-rich is a prime spot to see classic and cutting-edge high-performance autos cruising the streets and parked by luxe hotels and restaurants. 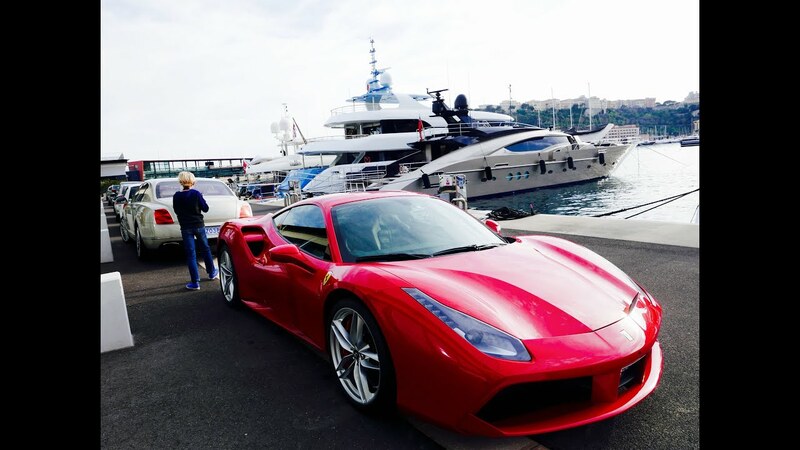 When you arrive in the Mediterranean mini-state in need of a quick fix of fantastic vehicles, head up the hill to the square opposite the iconic Casino de Monte Carlo and snap a few selfies in front of the high rollers’ vehicles outside. You might get up close and personal with models like the Bentley Continental GT, Lamborghini Aventador and Rolls-Royce Ghost — but be very careful not to scratch the paintwork. Alternatively, catch a glimpse of the premium racing cars of yesteryear at the Monaco Historic Grand Prix. The event is held every two years since 1997 in May — it’ll make you appreciate the courage famous drivers like Juan Manuel Fangio and Sir Stirling Moss had to display as they wound their ways around the city circuit’s famously claustrophobic curves. You’ll car spot in complete comfort at the five-star Park Hyatt Sydney and the best rooms have beautiful views of the famous opera house.Nestled at The Rocks district next to Sydney Harbour, this premium location provides an opportunity to witness wealthy residents and visitors stuffing their cars full to the brim with gifts from nearby designer shopping boutiques. But if you prefer something a little less random, car spotting at Cars and Coffee Sydney allows you to mix and mingle with the city’s fast car fanatics while you top up your tan. The annual event is held outdoors each May in Jones Bay Wharf and you’ll watch beautifully-maintained muscle cars like the Ford Mustang Shelby GT500, the new gull-wing Tesla Model X and 60s classics like the Austin Healey 3000 Mk III burn rubber in a controlled environment. American auto enthusiasts are rarely shy when it comes to showing off their proud vehicular purchases. So you’ll easily discover classics like the Porsche 911 Carrera, Maserati GranCabrio and Bugatti Veyron during a casual stroll down Manhattan’s Fifth Avenue. Or head out to hipster capital Williamsburg, Brooklyn for a Boho vibe where cool, customised pickups and roadsters cruise the streets. 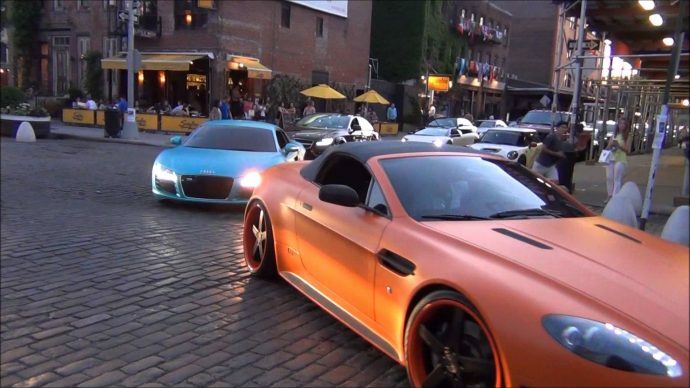 But if you want to get behind the wheel of an exclusive vehicle during your Big Apple trip, car rental at Gotham Dream Cars can hook you up with a Corvette Stingray Z06, Ferrari California T or Aston Martin DBS Volante. Cars are available to international visitors provided you bring your passport and driver’s license and the firm can arrange for insurance coverage if you’re leasing a vehicle for a minimum of two days. So there are three luxury locations for car spotting with a touch of class — they’ll put your holiday plans into overdrive. What’s your favourite car spotting location? Share your tips in the comments section.